Customized Malibu wedding sunglasses assortment can be sought by couples who wish to present their peers with some unique acknowledgement gift. 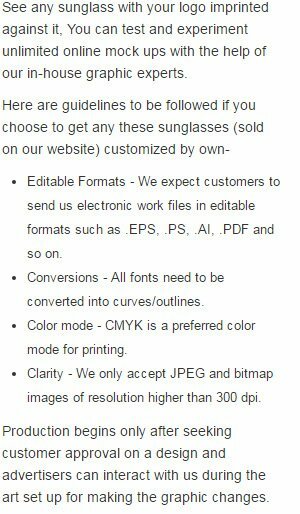 They can always order this custom sunglass in large numbers and seek immense benefits in the form of discount pricing, free art set up (on orders above $300) and improved goodwill. This wedding sunglass also makes a great party accessory and makes a unique choice of funky themed parties.